Building on a very successful exploratory colloquium at Liverpool Hope University in December 2010, this conference will explore what the arts can tell us about the complex relationships between Theosophy, modernity and artistic culture, c. 1875-1960. 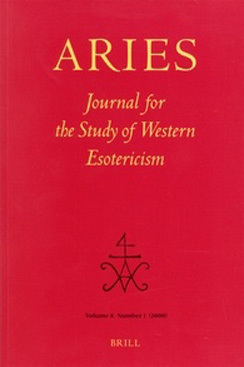 The purpose of this conference is to bring together an international group of scholars working on Theosophy and the arts across the globe in this period, and as a result, map the rich variety of artistic responses to the influence of Theosophy and the Theosophical movements in the modern world. The connections between Theosophy and modernist aesthetics have been well documented in relation to certain artists such as Kandinsky and Mondrian, as well as composers like Scriabin and Rudhyar. However, the purpose of this conference is to develop a more nuanced and complex picture of the multiple layering of art, modernity and mysticism in a range of artistic practices in the nineteenth and twentieth centuries. The wider critical significance of the relationships between painting, sculpture, applied and decorative arts, music, architecture on the one hand and Theosophy on the other, with the exception of a few well known case-studies, is still largely to be explored, possibly because, as the historian Alex Owen has suggested, 'the very notion of mysticism and the occult seem to run counter to our conception of modern culture and the modern mind set'. 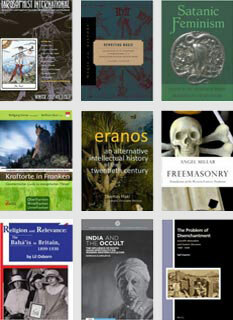 Doelenzaal Library, University of Amsterdam; Singelkerk; Stedelijk Museum; J.R. Ritman Library; and the Theosophical Society Library. See the conference website for more details.